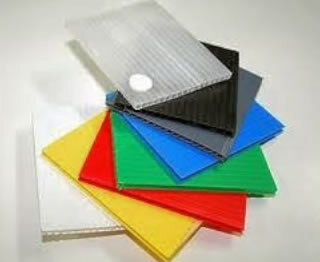 Corrugated plastic or alveolar propylene is a rigid panel insensible to atmospheric and chemical agents, and It is durable, hygienic, water-repellent and printable on both sides. Because of the internal alveolar structure, the surface is slightly corrugated. It can be cut and die cut. It can come in contact with food and It complies with European countries laws. Alveolar polypropylene is used in several sectors as: poster designing, signage poster, stands for paper industry, graphics, advertising and packaging.